According to Marketing Land, 90% of consumers say positive customer reviews around support and the product influenced their purchasing decision. Likewise, a Corporate Executive Board survey found that B2B buyers complete 60% of the purchasing process before they speak with a company representative. We have a 4-5 star rating across all major review platforms such as Trustpilot, Software Advice, and Sitejabber. If you do some real research into our industry and compare this to our competitors, you can see why we have been able to grow 100% YoY net new revenue, as well as keep annual churn below 5% while our competitors are struggling to hold onto customers for more than 12 months. For instance, a number of the competitors in our industry only give customers one or two hours of onboarding for free, or charge hundreds or even thousands of dollars for annual updates, or even charge extortionate monthly support and software license fees. When you’re dealing with small, entrepreneurial business owners, and especially when you’re selling technical solutions, you need to set the customer up for success and make the solution cost-effective both instantly and scalable long-term. Otherwise, they will give up quickly and move on to the next option. Business owners don’t have the time or money to waste on your poor implementation process or expensive renewal fees. During the sales process at Epos Now, we leverage our strong customer support and reviews as a core differentiator and unique selling proposition (USP) to our competitors. 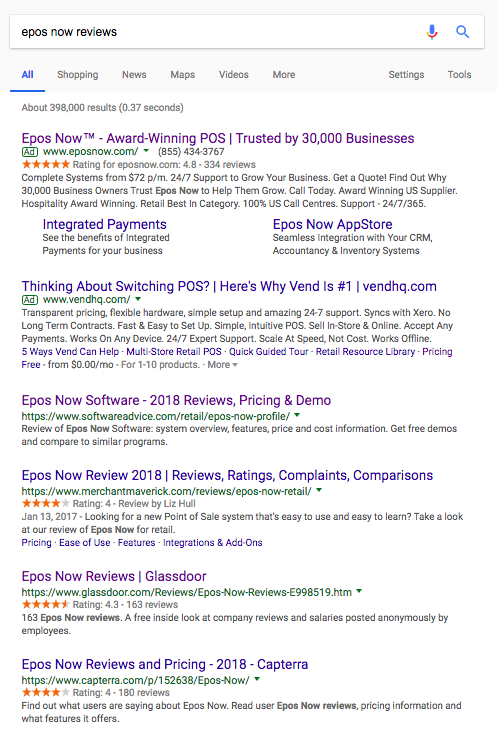 Many of them are bloated, well-funded (for now) companies who are more focused on new customer acquisition than customer retention, and our sales team always compares our reviews to theirs during the software demonstration. At Epos Now, we have locked down our sales process to prevent points 2 and 3 from happening as much as possible. 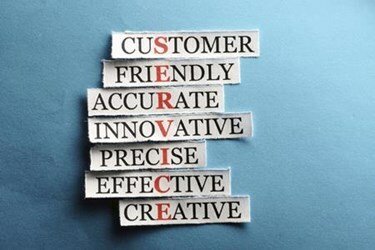 Building value in the customer support element is a key part of this. Before they hand over hundreds or even thousands of dollars, customers want to know what happens after they buy. Especially in a commodity driven industry like ours, or with cheaper solutions out there in any industry, it’s essential that you build trust in the implementation and support process to win the deal over the competitors. After we’ve won the deal it’s essential we stay on top of the key customer success metrics, especially during the first 30 days. We have the support team broken down into two departments. One department handles the customer through the first 30 days to ensure consistency in implementation and message delivery (no one likes to speak to a new support rep every time they call in). The second team handles inbound service questions after 30 days. We have deployed a heavily customized version of SalesForce CRM alongside New Voice Media for our CTI solution. We can then pull a large array of customized reports to measure and monitor calls, conversations, emails, and the progression of accounts through the success funnel. Every company has room for improvement, including ours, but we have definitely set the customer success team up the best way possible with the right processes and metrics to have the highest rated support in the industry.